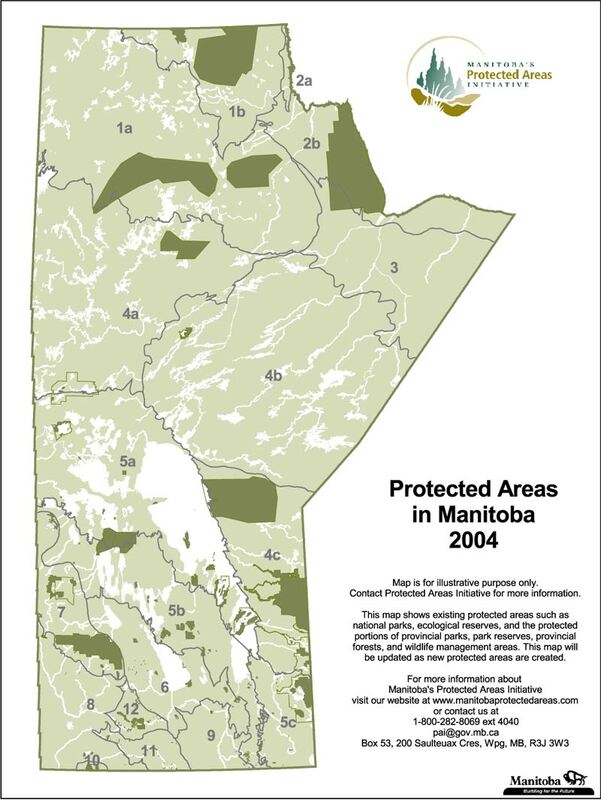 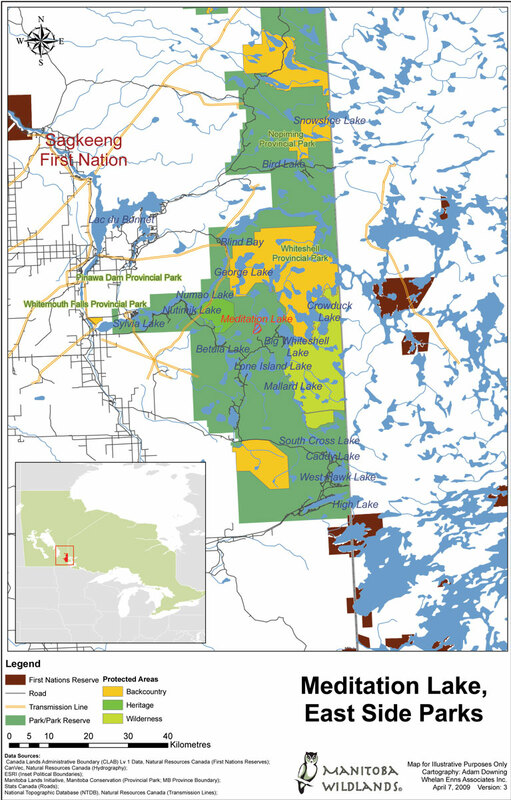 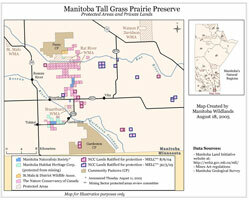 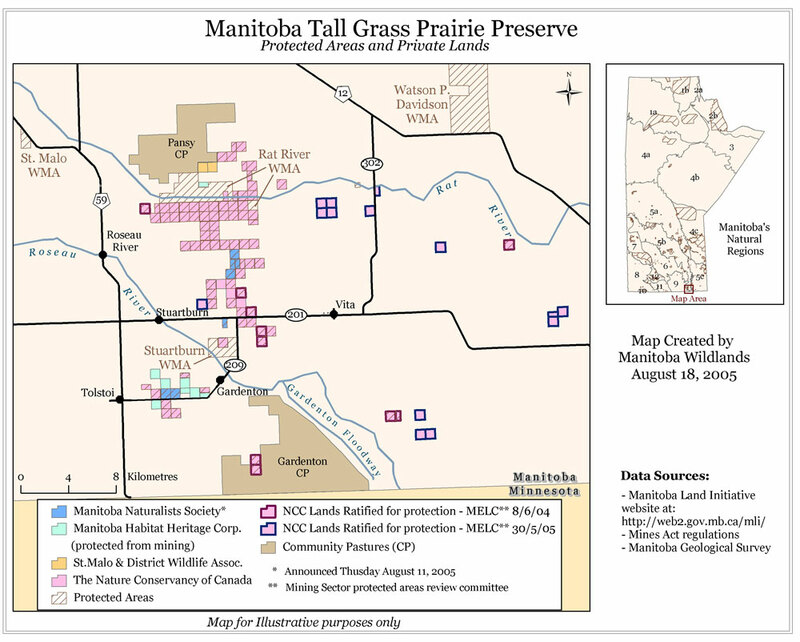 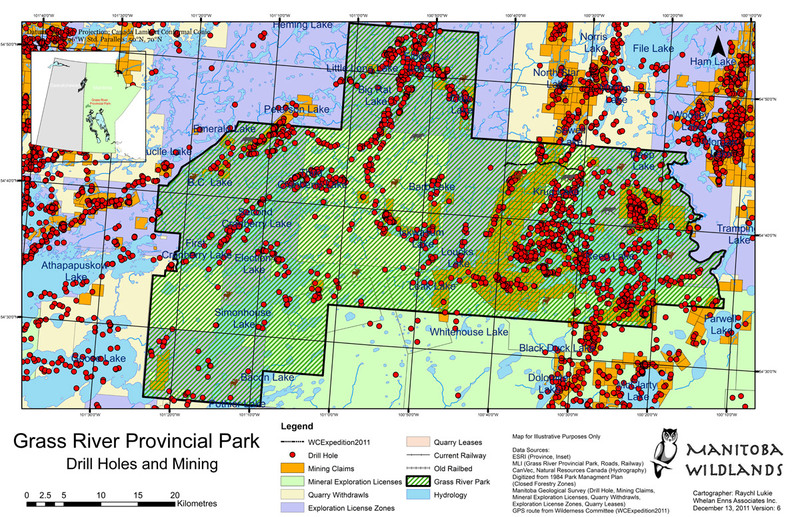 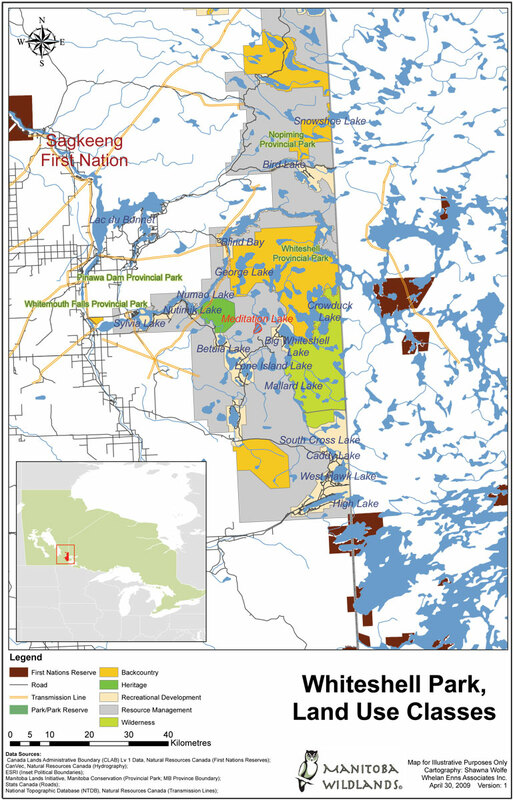 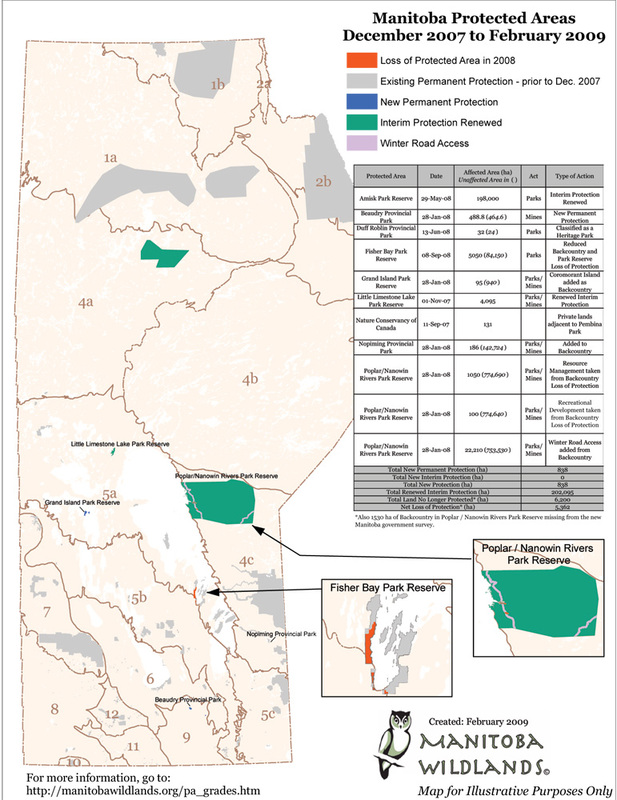 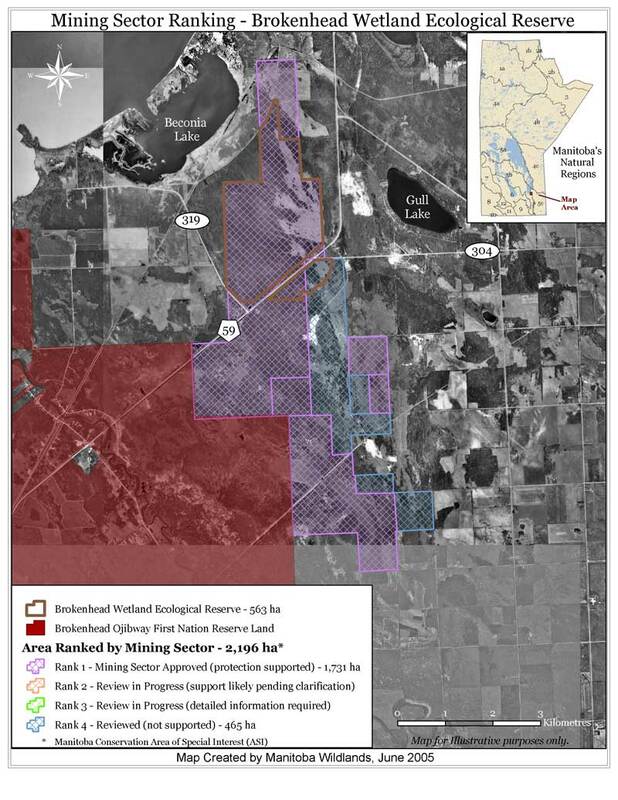 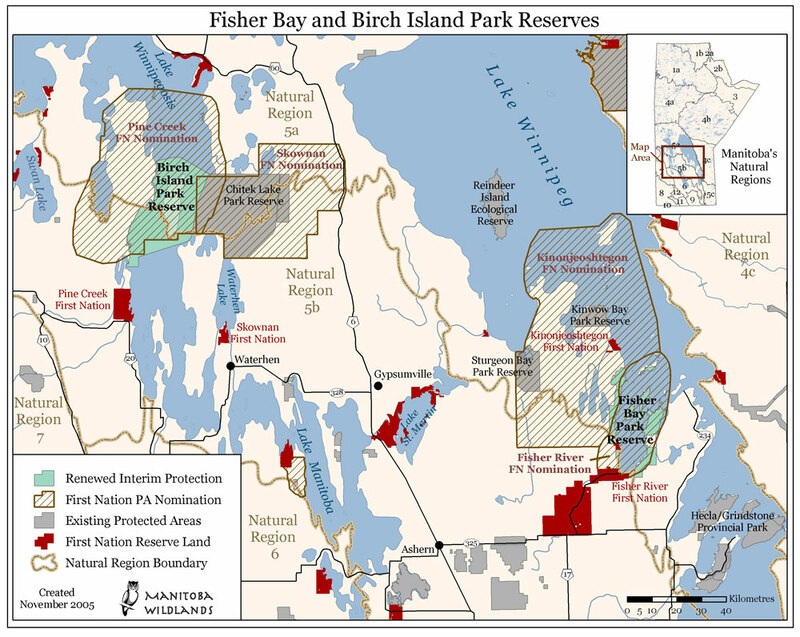 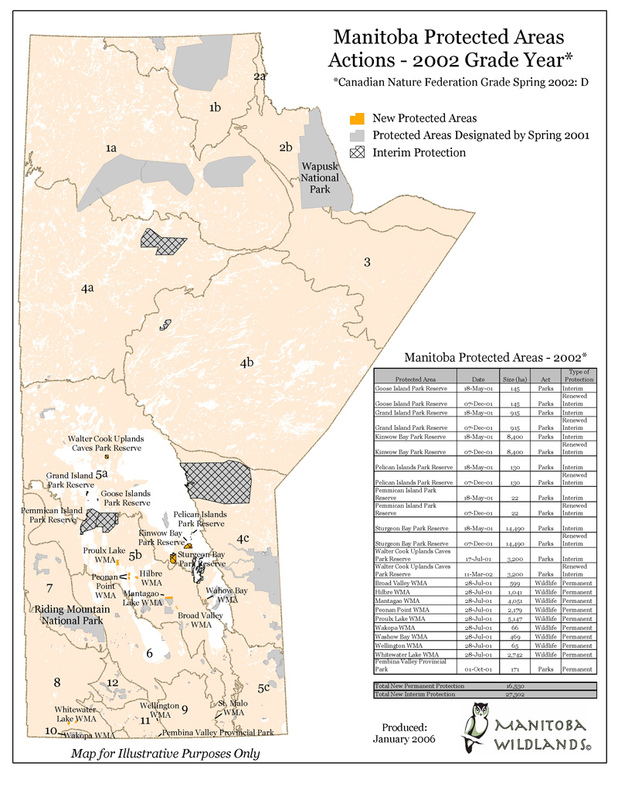 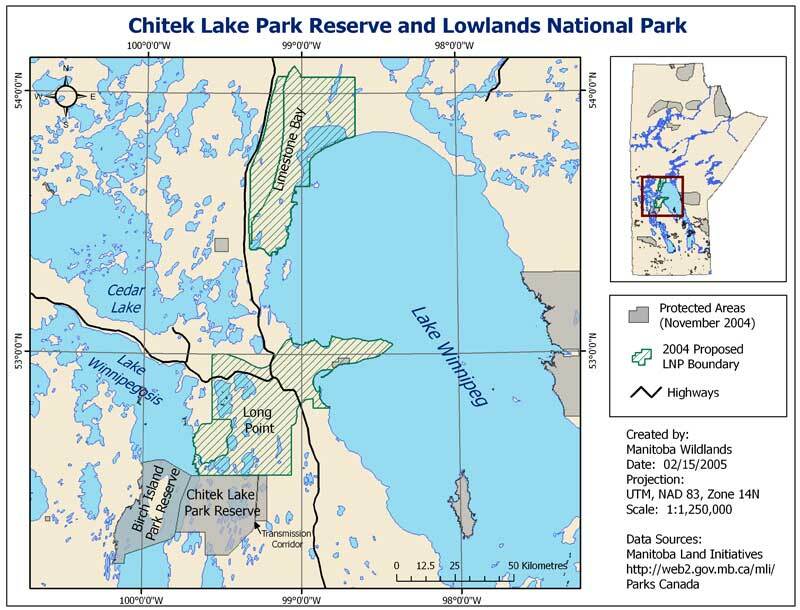 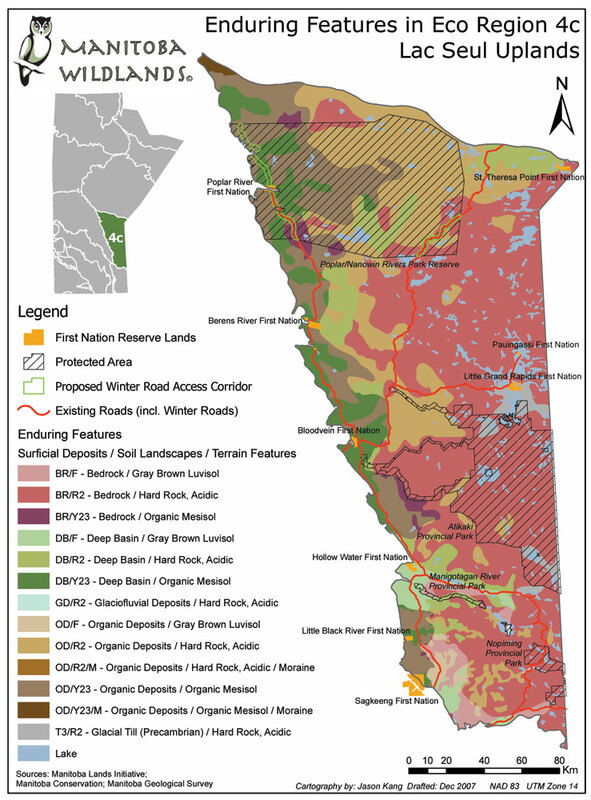 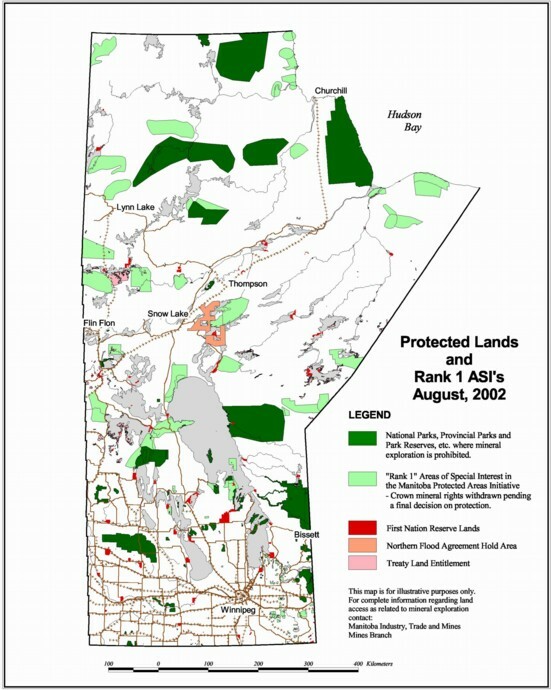 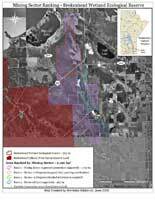 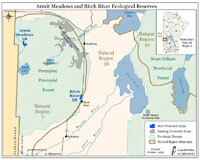 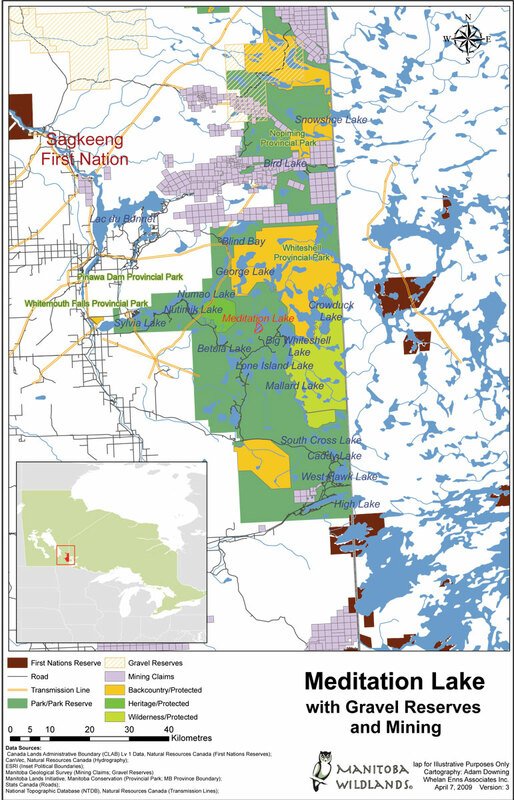 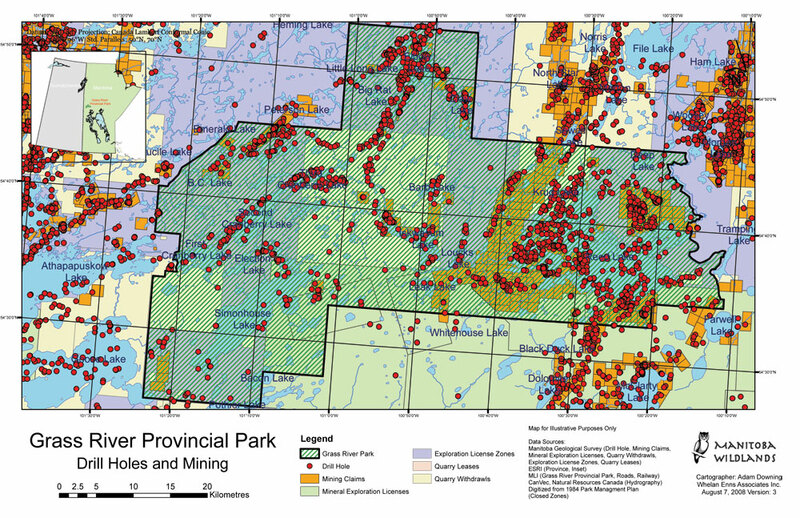 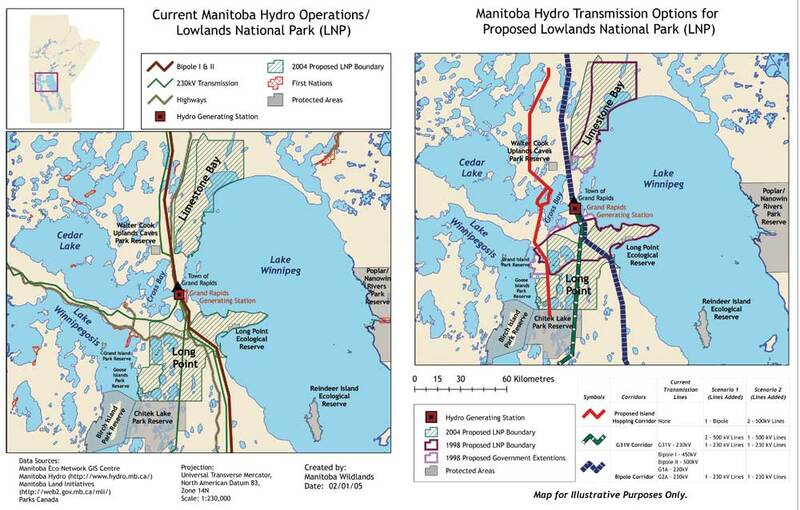 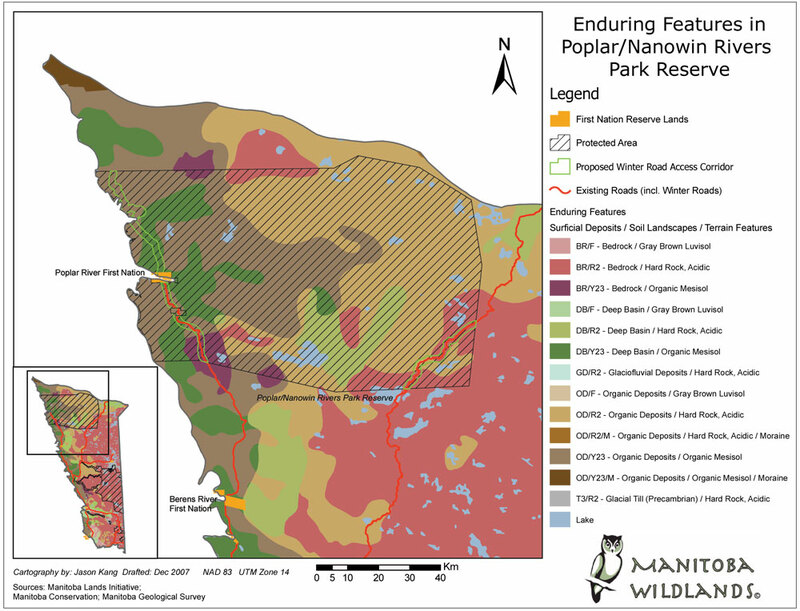 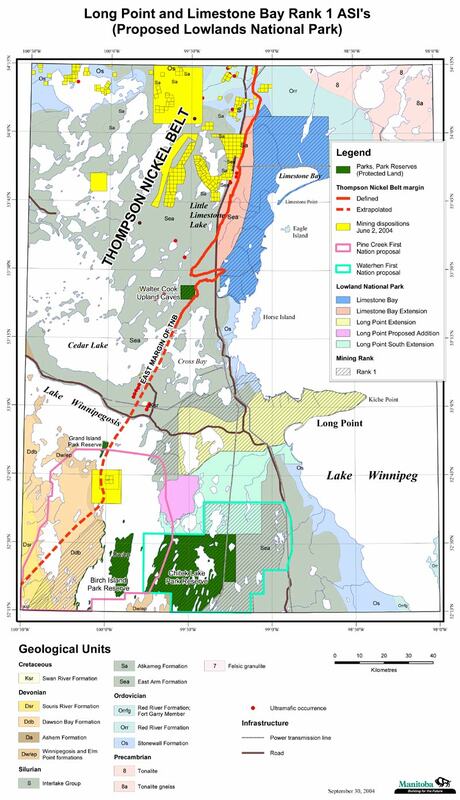 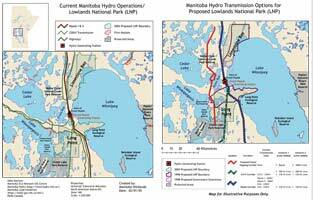 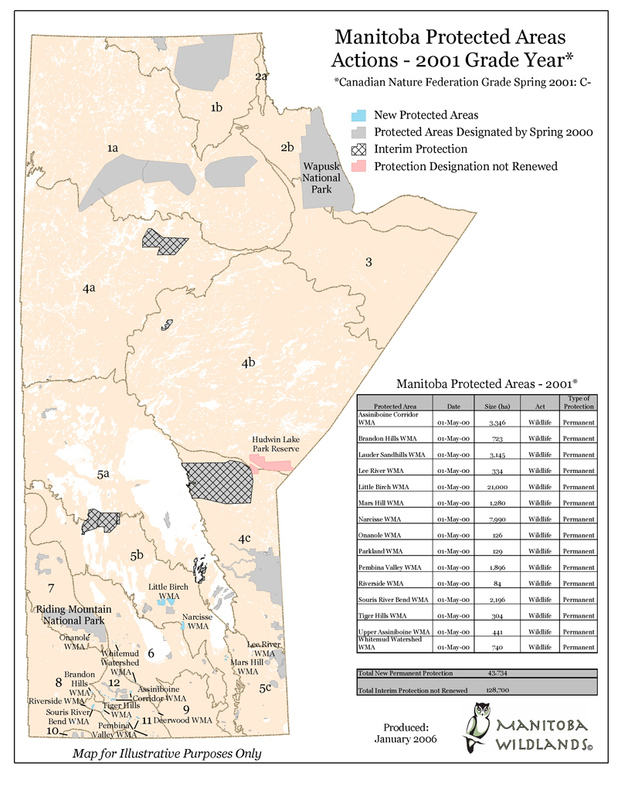 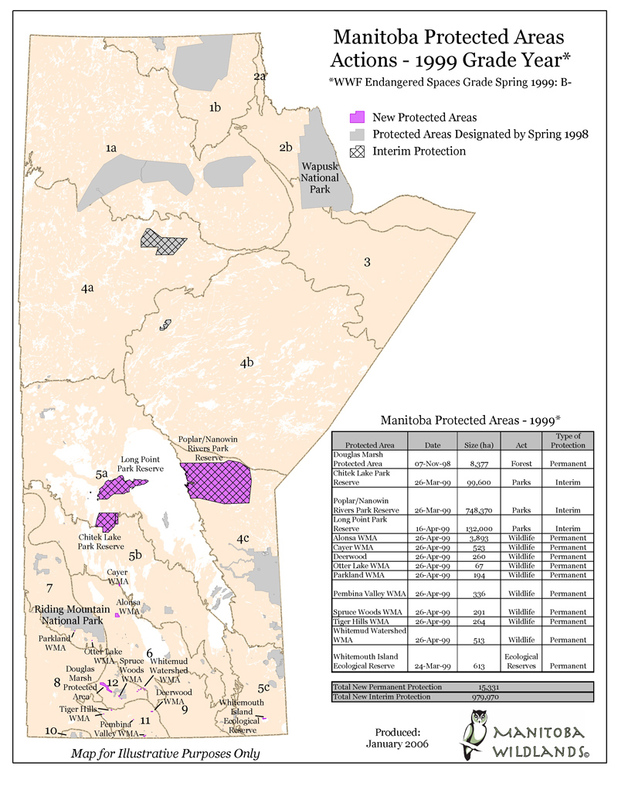 Protected areas mapping appears throughout ManitobaWildlands.org. 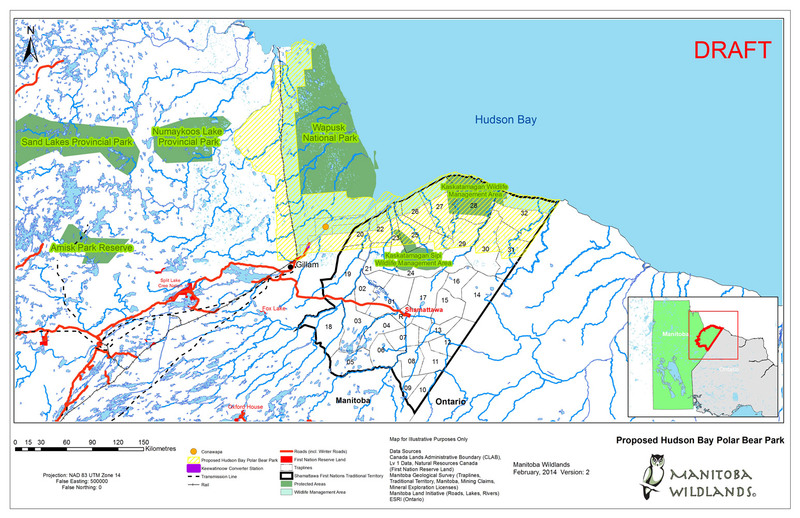 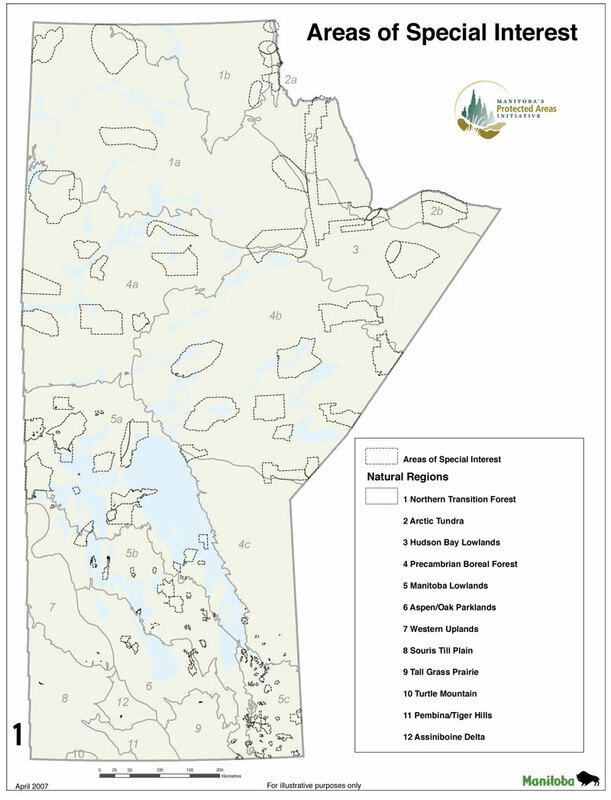 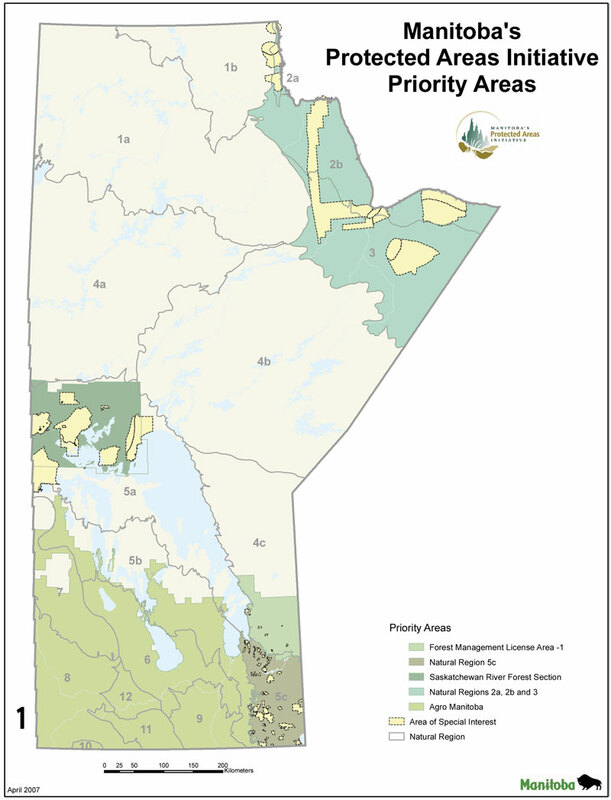 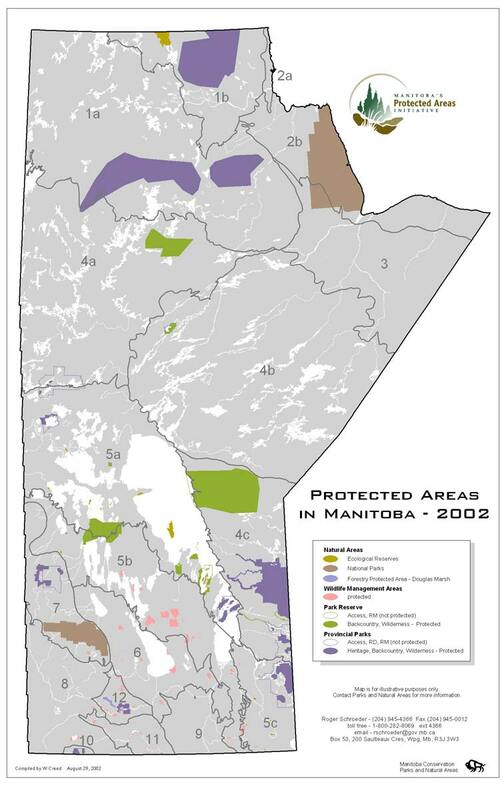 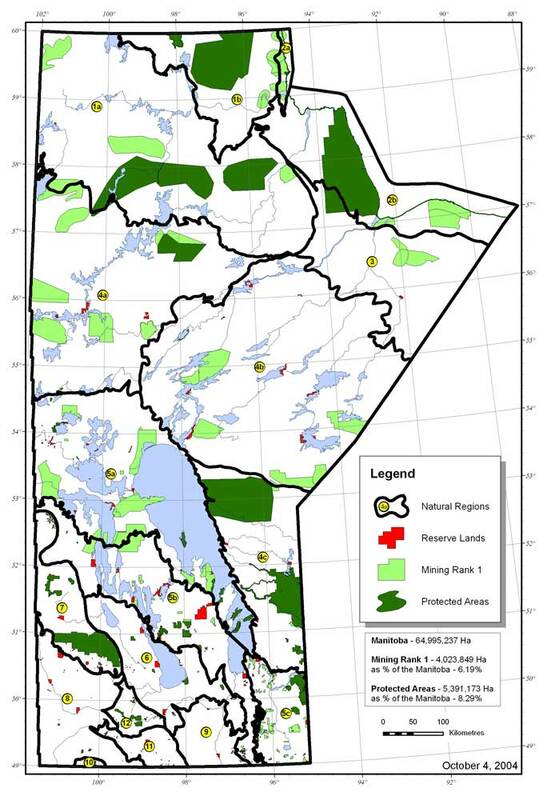 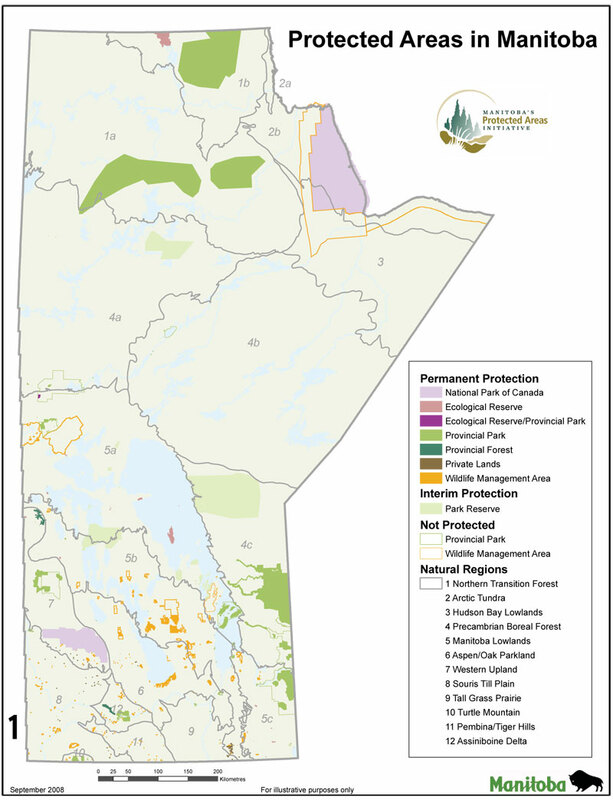 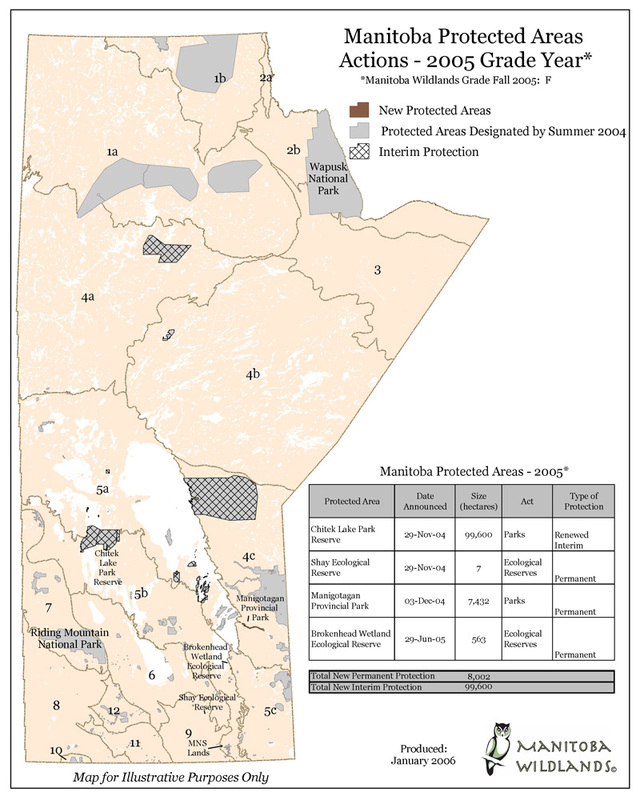 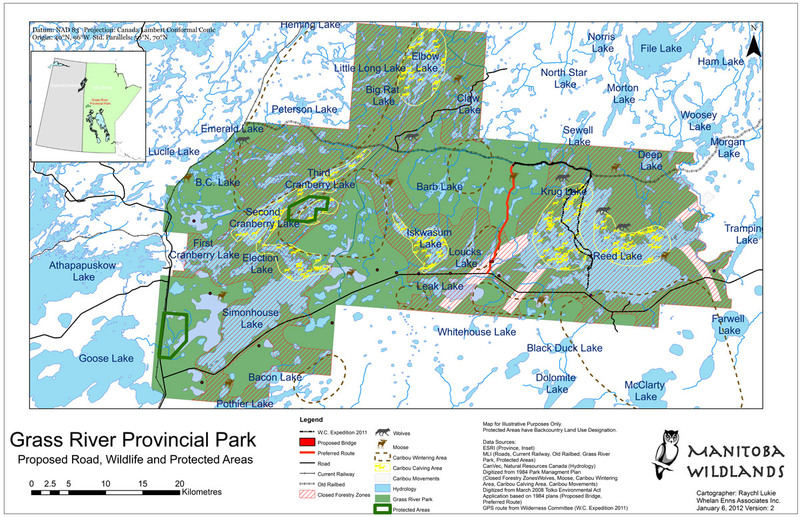 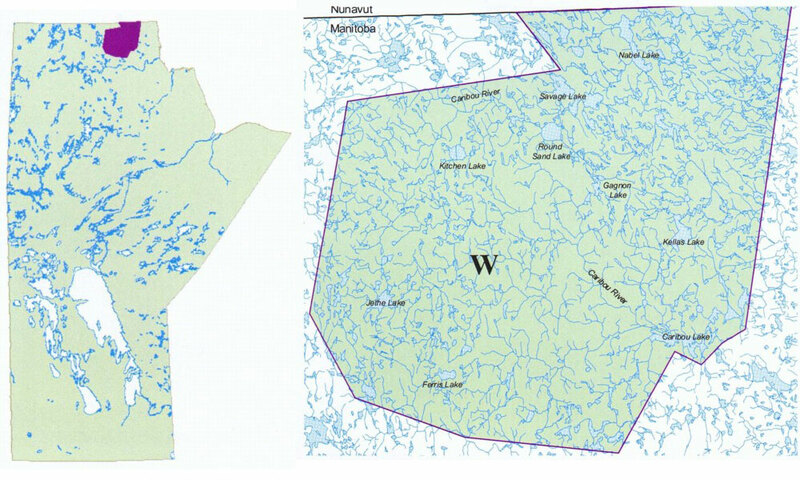 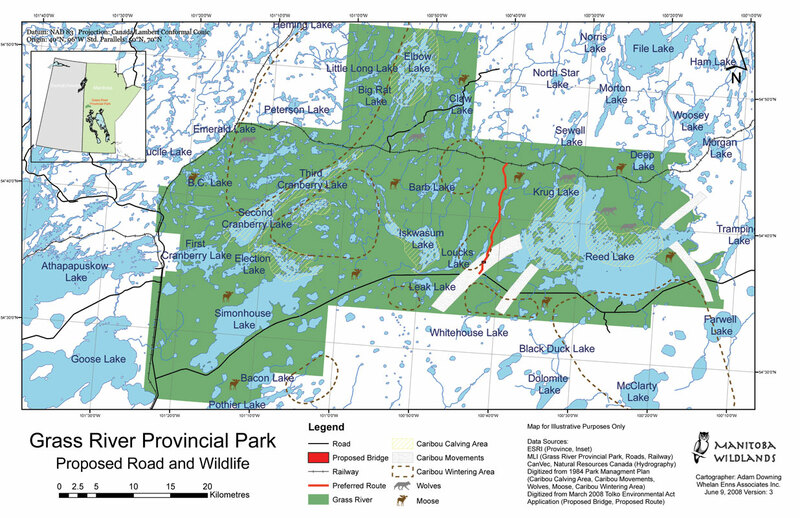 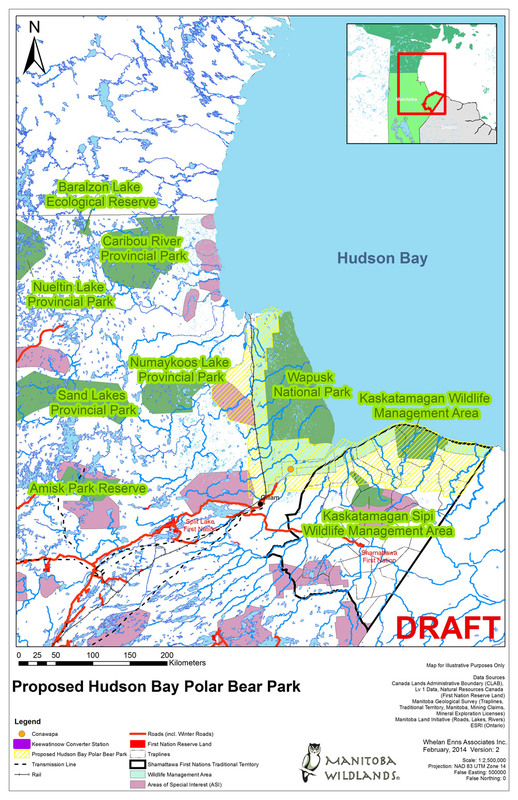 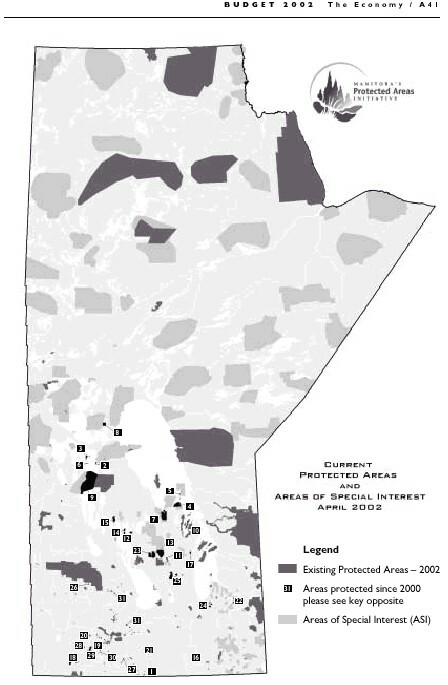 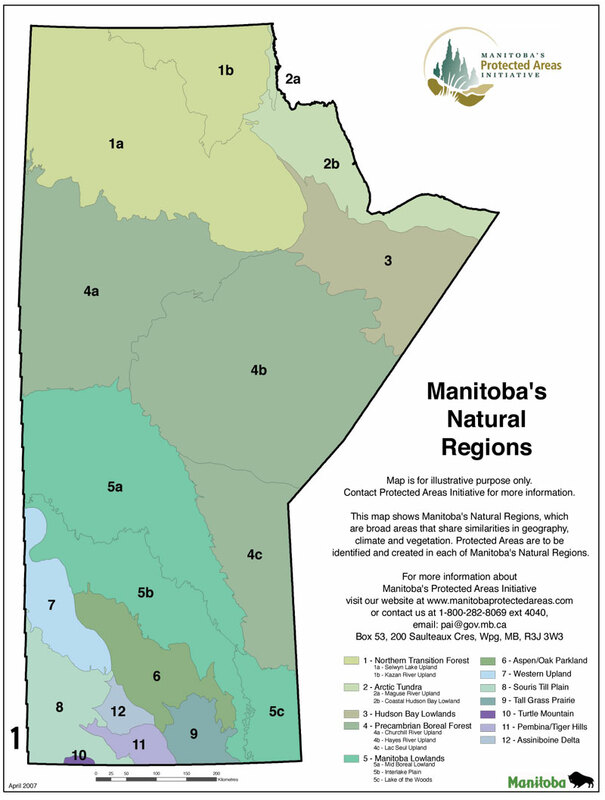 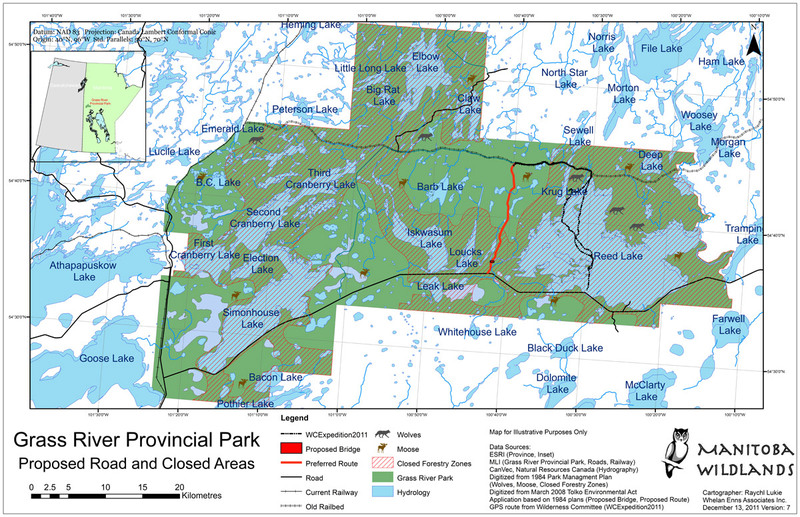 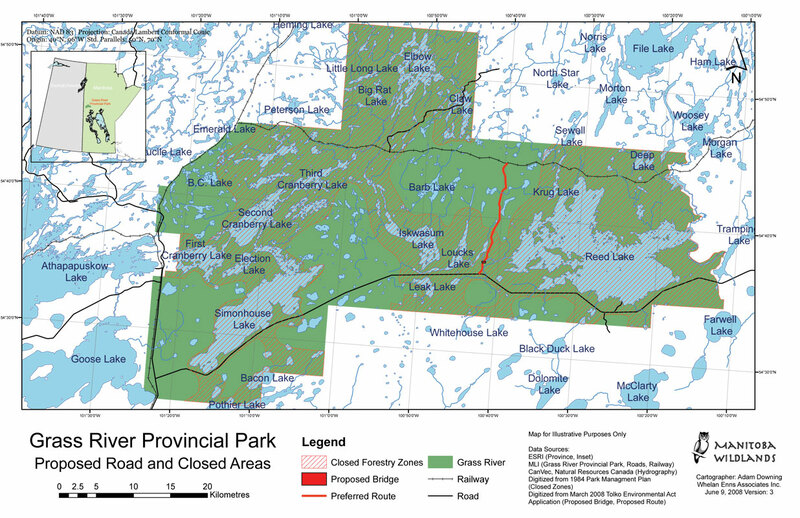 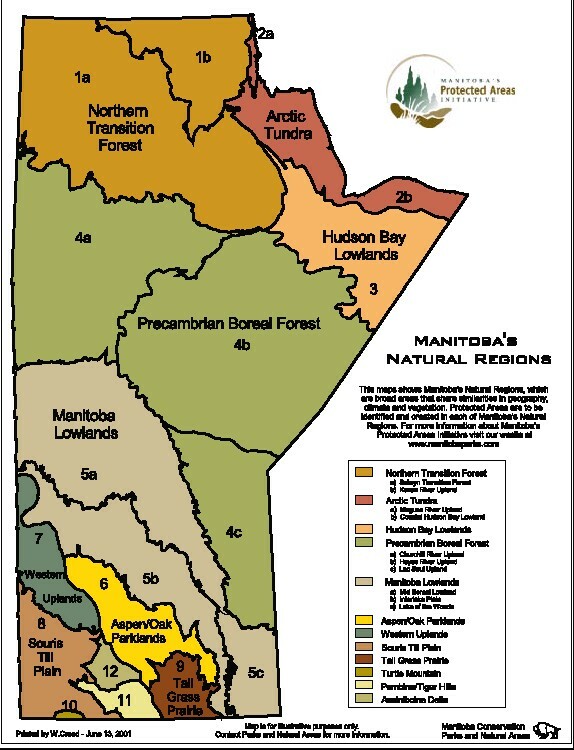 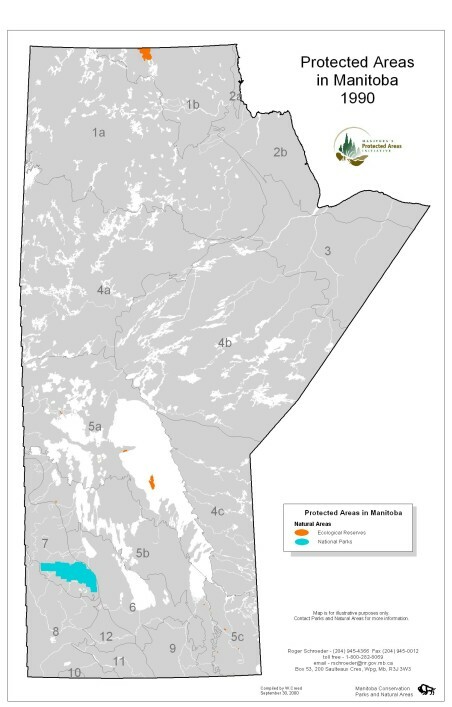 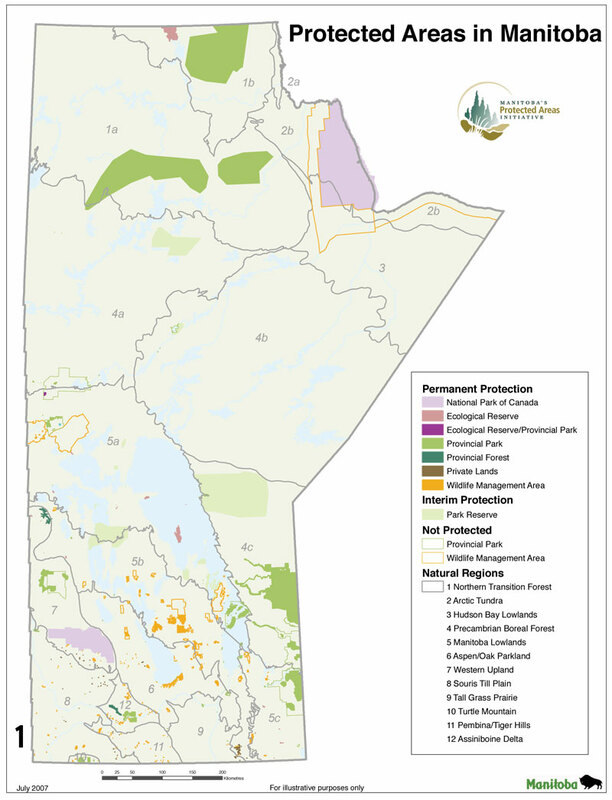 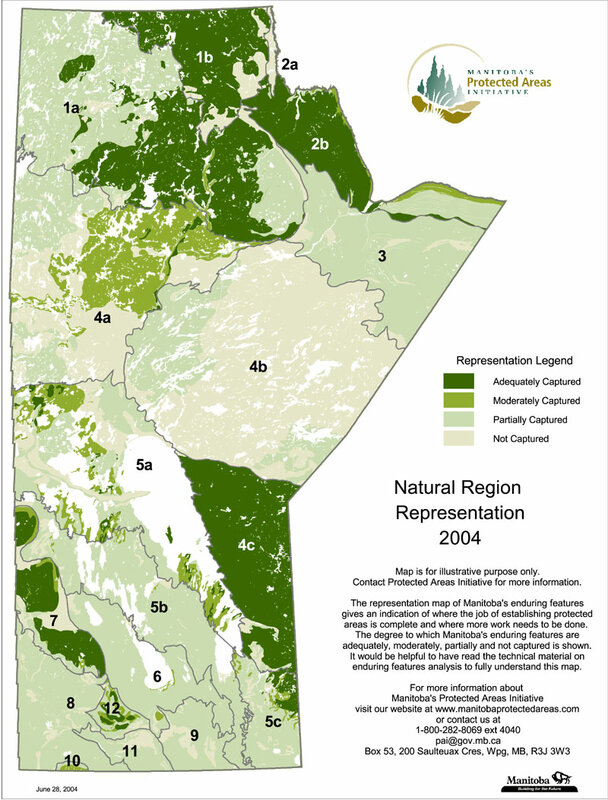 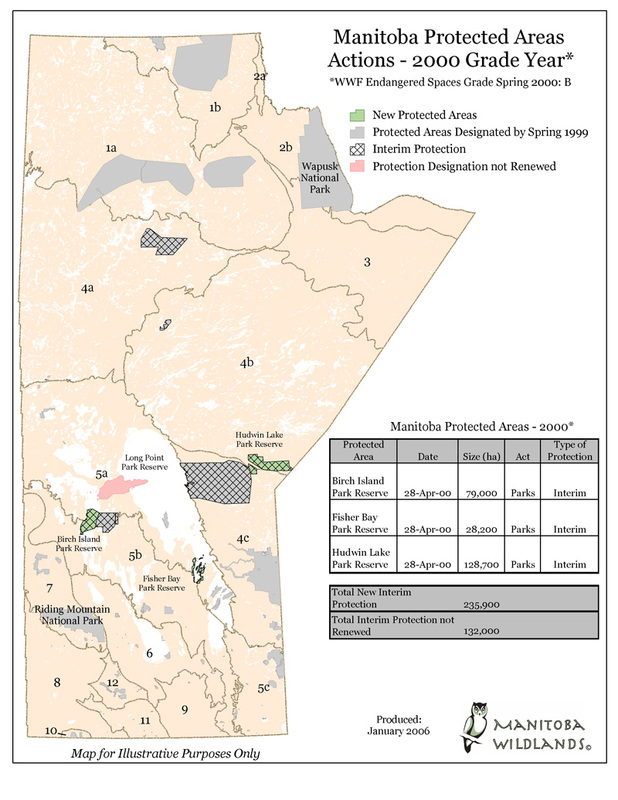 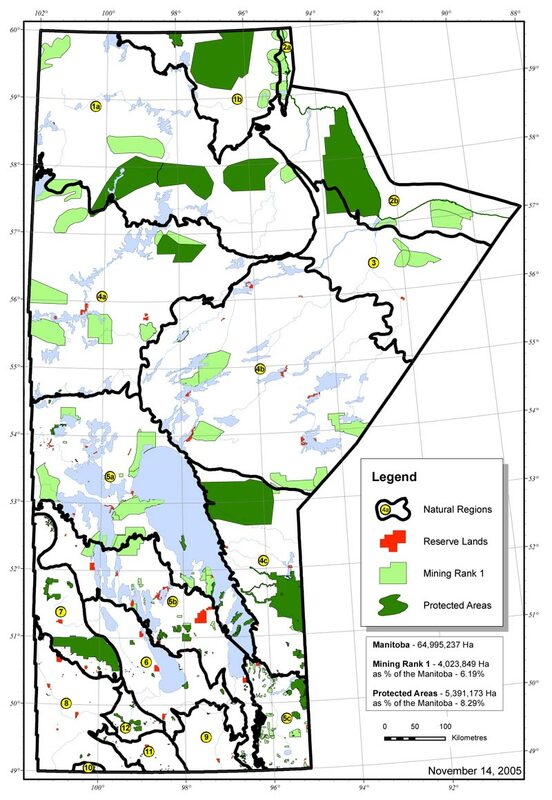 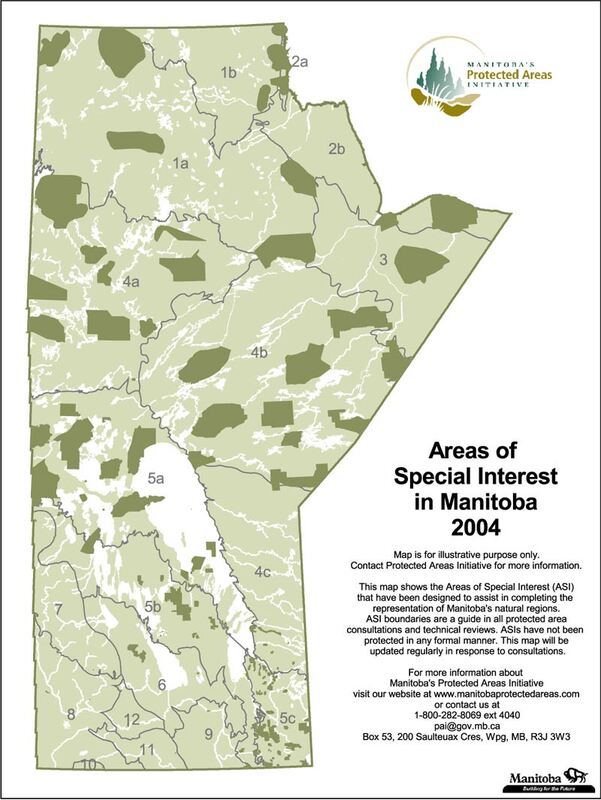 In this section, all protected areas maps (including Manitoba Wildlands' own mapping as well as maps from external sources) are listed by category. 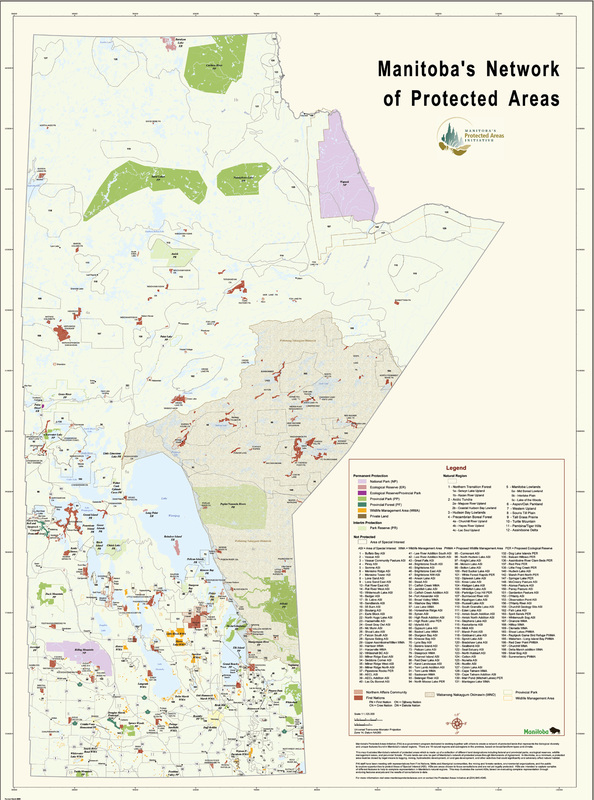 Click on the categories in the menu below to access the maps in each category. 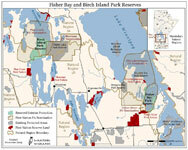 Click on the thumbnail image or map title to view each map full-size in a new window. 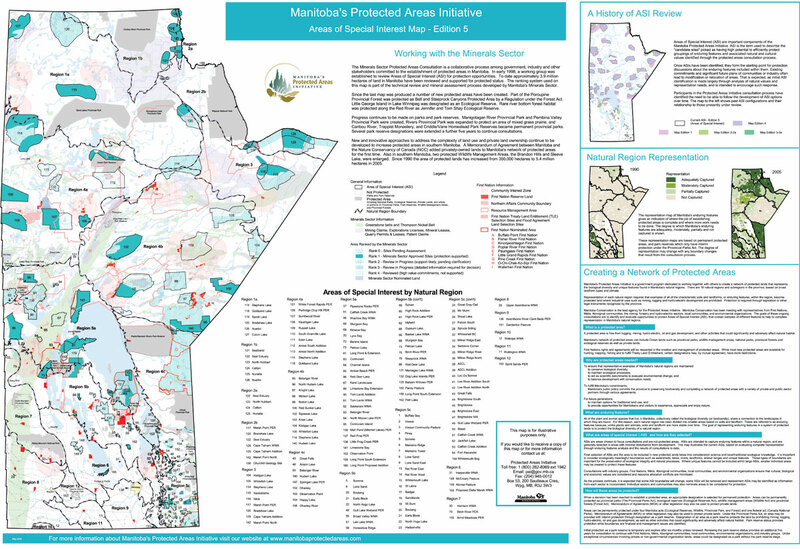 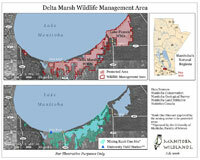 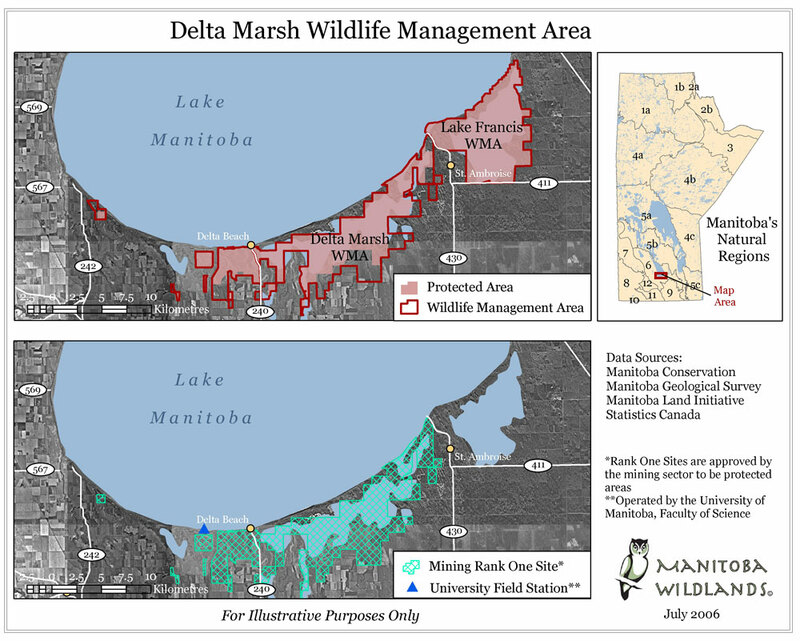 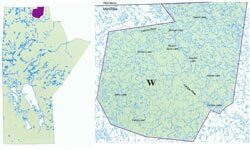 Description: These annual maps accompany each year's protected areas grade for Manitoba government action. 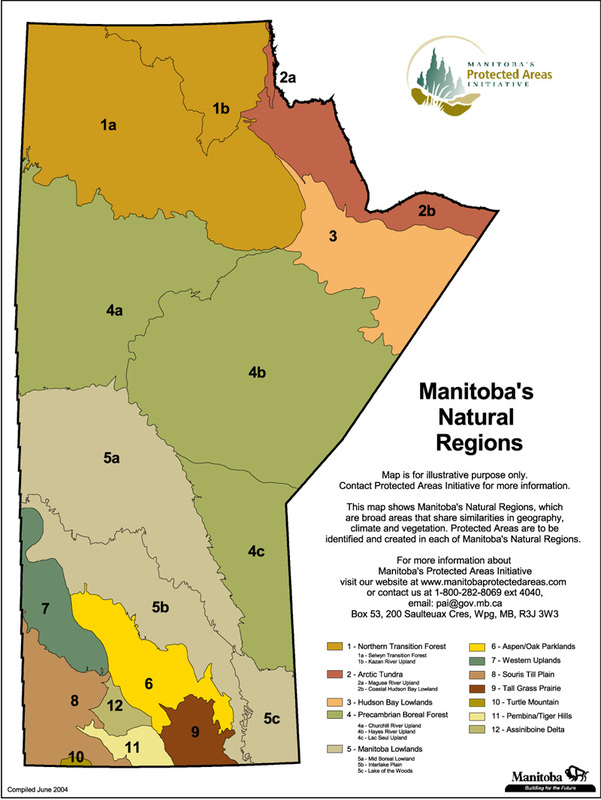 The grade is based on Manitoba public policy and ecological standards. 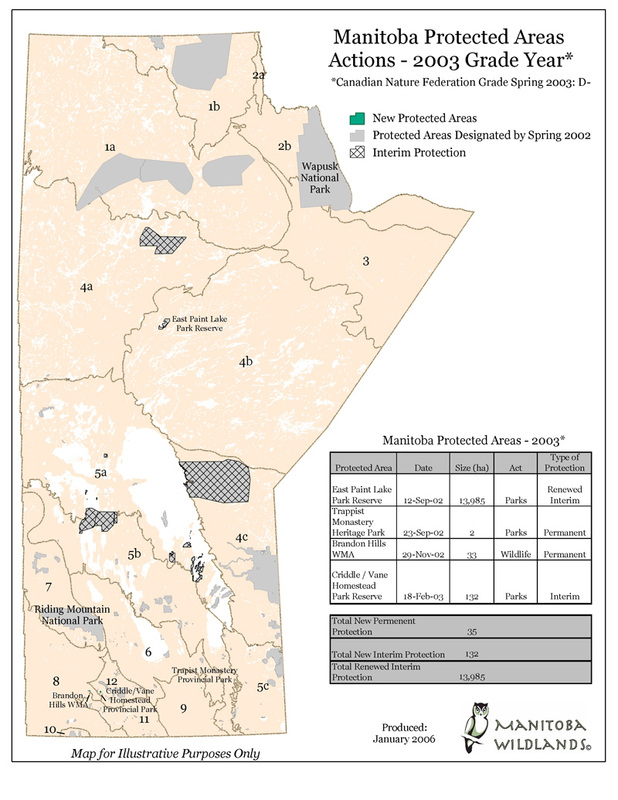 Description: Issued by government to show protected areas. 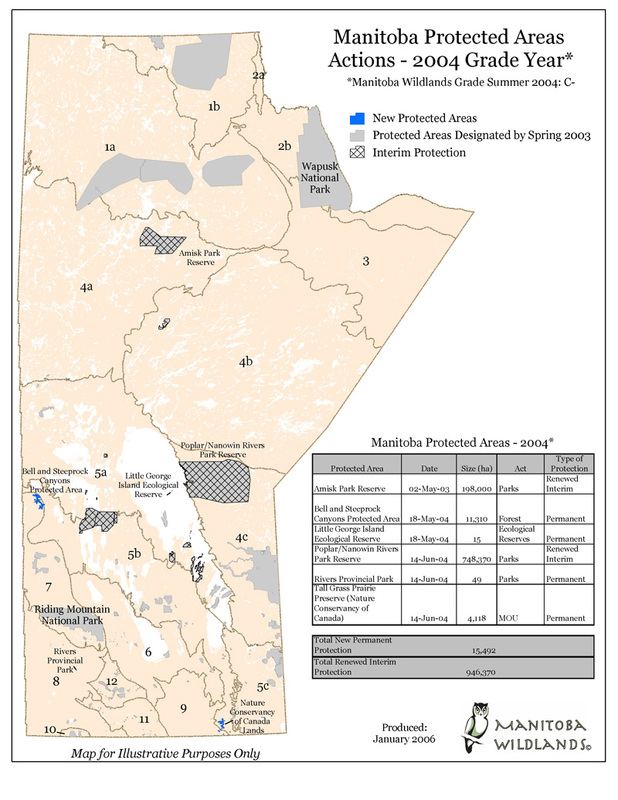 Description: Issued by government to show protected areas. 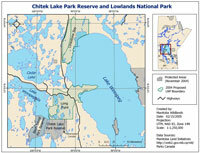 Shows national parks and ecological reserves only. 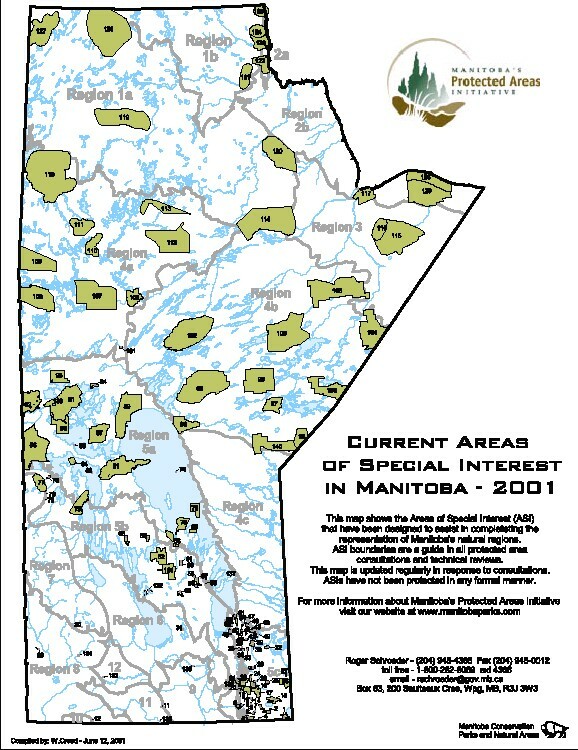 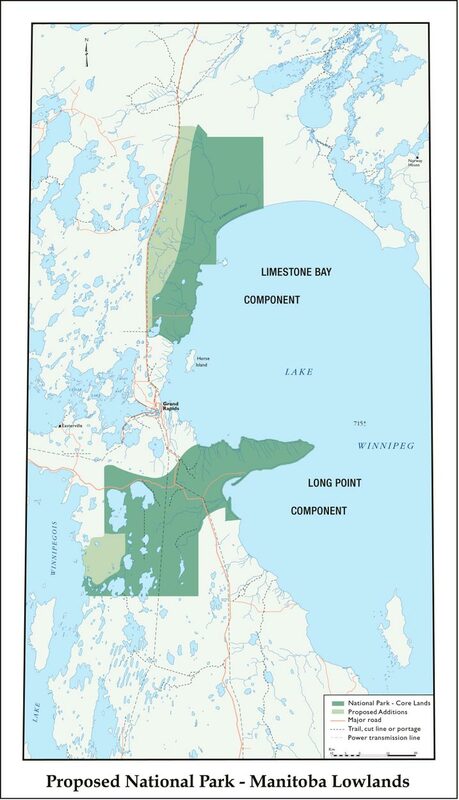 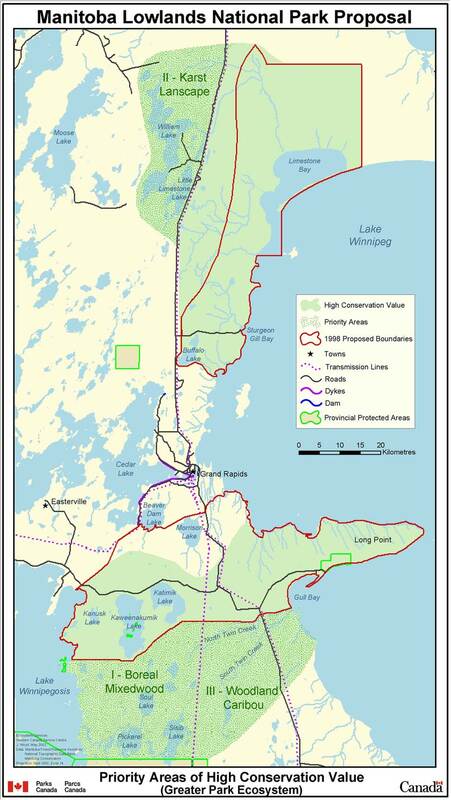 Description: Areas of Special Interest (ASI) are designed by Manitoba Conservation, as potential protected areas. 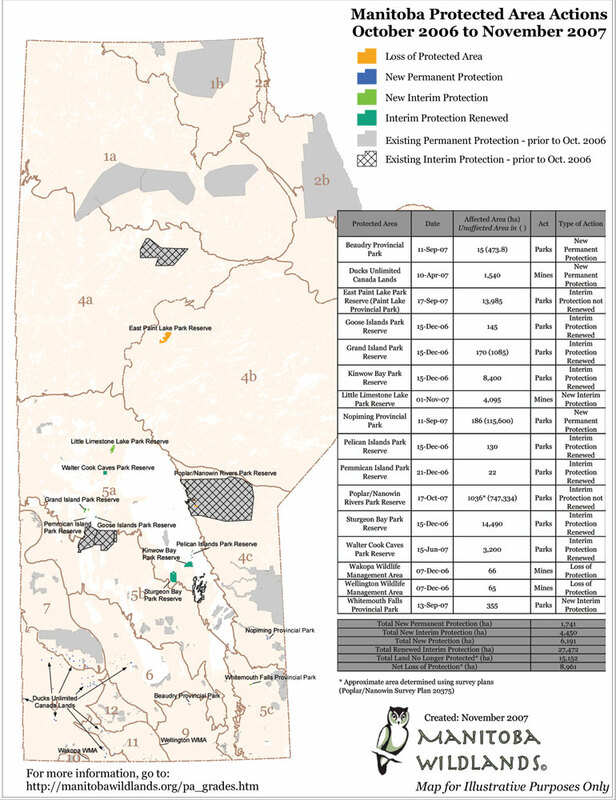 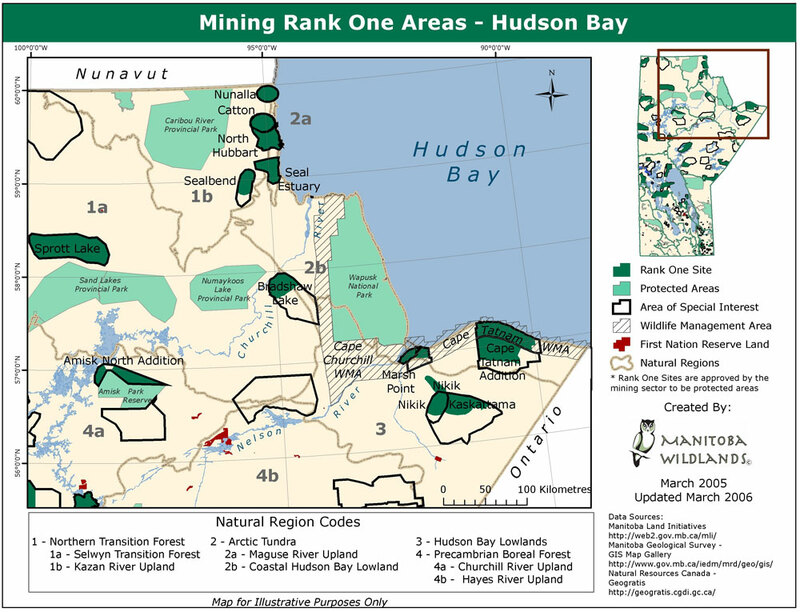 Description: Rank 1 sites have been reviewed and approved by the Minerals sector for protected status. 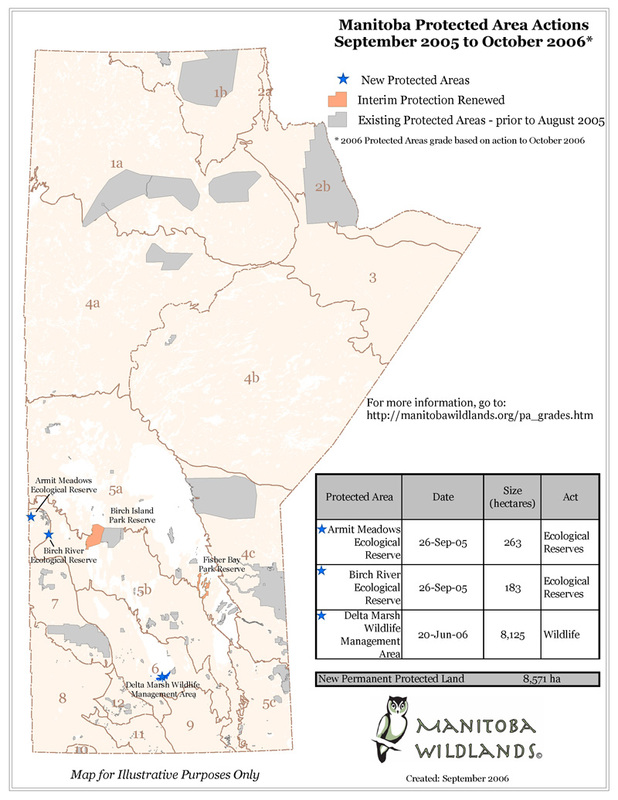 Description: Rank 1 sites have been reviewed and approved by the Minerals sector for protected status. 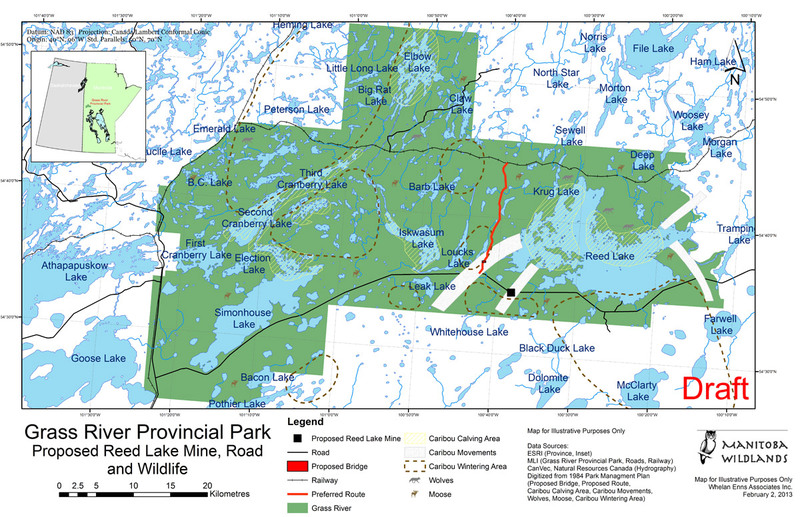 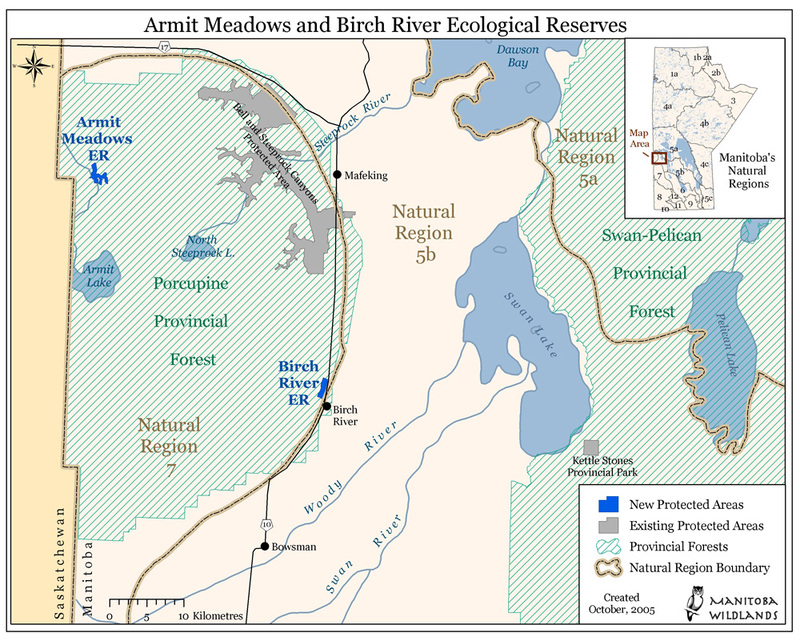 * This is the detailed version of the 2005 map.